Artist Peter L. has found the town of Batavia, New York to be an excellent incubator for both his creativity and his recovery. Peter has been able to keep his art in the public spotlight through the Genesee-Orleans Regional Art Council (GO ART!) and the Richmond Memorial Library’s art gallery, among other venues. 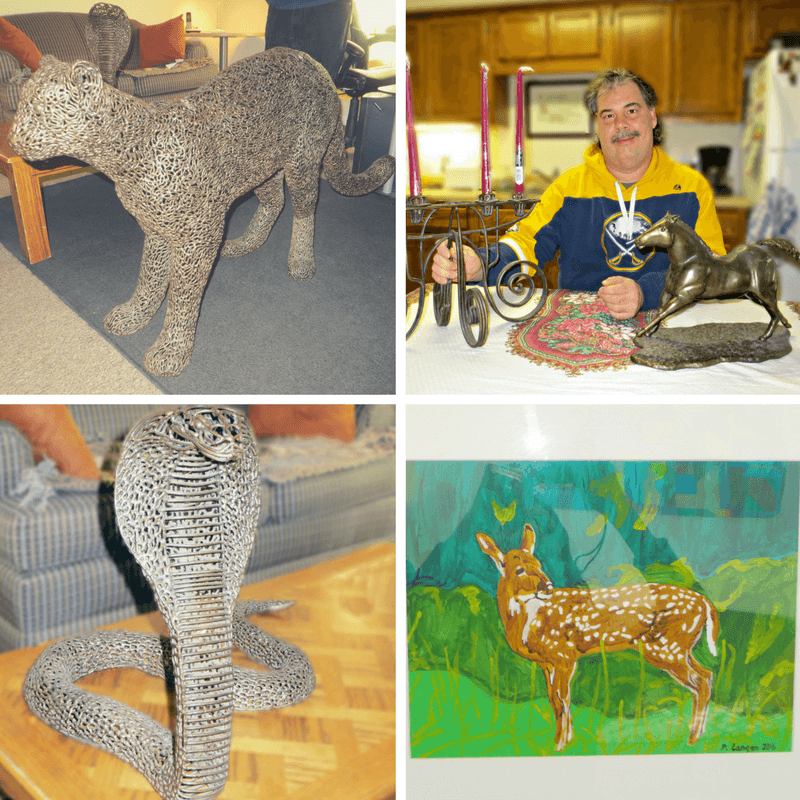 Peter’s apartment at DePaul’s Batavia Apartment Treatment Program on East Main Street is tastefully decorated with his artwork, a heavy steel candelabra, animal sculptures and nature-themed acrylic paintings. “It’s not a full-time thing for me, but it’s something I enjoy doing and it’s kind of therapy because it makes me feel good about myself,” he said. Diagnosed with a learning disability in middle school, Peter attended The Norman Howard School in Rochester before transferring to Batavia High School for his junior and senior year. He discovered his love of art through an art option program at The Norman Howard School which allowed him the opportunity to work with artists in the studio on everything from jewelry to metal sculpting, at which he soon discovered he excelled. 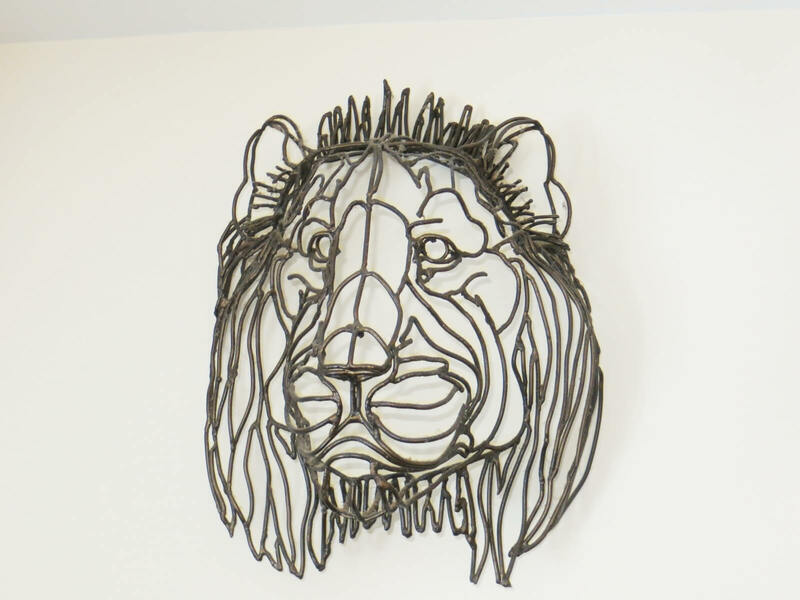 Working with Rochester-area sculptor Craig Wilson at the age of 15, Peter created a lion’s head out of steel, which now hangs above his television. It was selected to be displayed at the Philadelphia College of Arts National Scholastic Art Show. That same summer, Wilson helped Peter complete a cobra sculpture, which he proudly displays on an end table in his apartment. Peter’s parents allowed him to open up a shop in their garage. His father loaned him money to purchase welding torches, a steel bench and steel and gas tanks to get the studio up and running. Peter assembled a portfolio of his work and began receiving jobs on commission from teachers and people in the community. He estimates he produced over 130 pieces in his garage studio over nine years. In 1988, Peter had his first one-man show in GO ART! Peter wound up closing the shop and moving to Alabama in 1995 where he worked in construction. On a trip back to Rochester, he fell asleep at the wheel and got into an accident. He returned to Rochester to heal, however, the stress of losing his job, returning home to his parents who were in the midst of a divorce, and being displaced caused Peter to have a nervous breakdown. He was diagnosed with bipolar disorder. 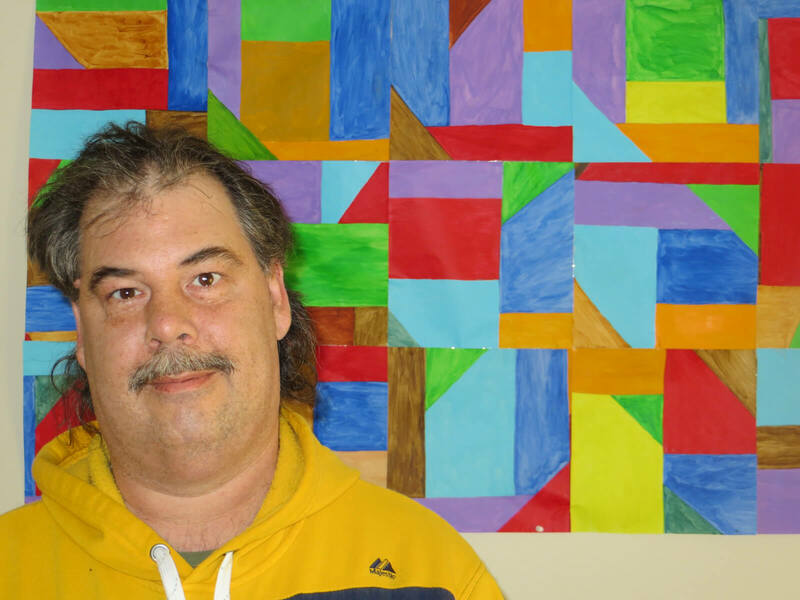 After receiving residential services through East House in Rochester for about six years, Peter lived independently in Batavia for about eight years until moving into DePaul’s Batavia Apartment Treatment Program where he receives additional supports. Peter uses his spare bedroom as an art studio. His artwork has been on display at the Mental Health Association’s social club, at the Batavia Senior Center, and in the Richmond Memorial Library’s gallery room. He’s taken a figure sculpting clay class at the Memorial Art Gallery in Rochester. He has shown work at Living Opportunities of DePaul’s annual art show for the past three years and has begun writing books. Peter said he is working on acquiring a car in the next five years to allow him to get out and promote his artwork more, and he’d ideally love to open up a shop someday. “DePaul has helped me rebuild my life as part of my recovery from traumatic events and steady my course as I work on lifelong goals,” he said. Learn more about DePaul’s Batavia Apartment Treatment Program and additional mental health residential services.